Congratulations to Kelli & Jacob who were married on a beautiful Wednesday in Autumn this year. 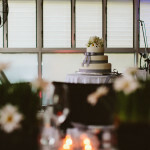 I supplied two desserts for their reception, held in the Sunset Bar on the top deck of the Noosa Boathouse Floating Restaurant on the Noosa River. 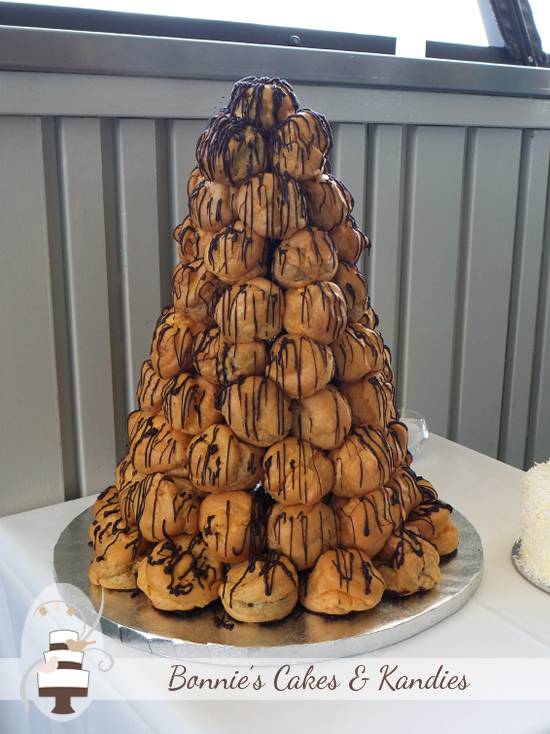 The main dessert was a croquembouche tower, built from 80 profiteroles, and drizzled with dark chocolate over the top. Half of the profiteroles were filled with continental custard, and the other half were filled with chocolate mousse – all made fresh for optimal flavour. 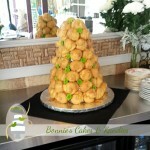 Kelli & Jacob chose a white chocolate coconut mud cake to serve as an accompaniment to their croquembouche tower. 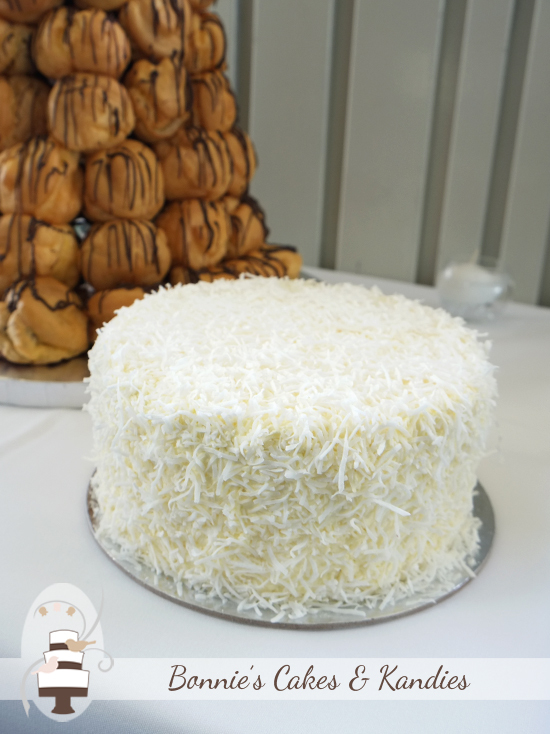 The cake was filled and iced with coconut-flavoured white chocolate buttercream, and finished with a simple coconut covering. Oh my kitchen smelled so wonderful that morning as I was assembling the tower – fresh profiteroles, chocolate mousse, continental custard, dark chocolate, and so much coconut! Delicious! 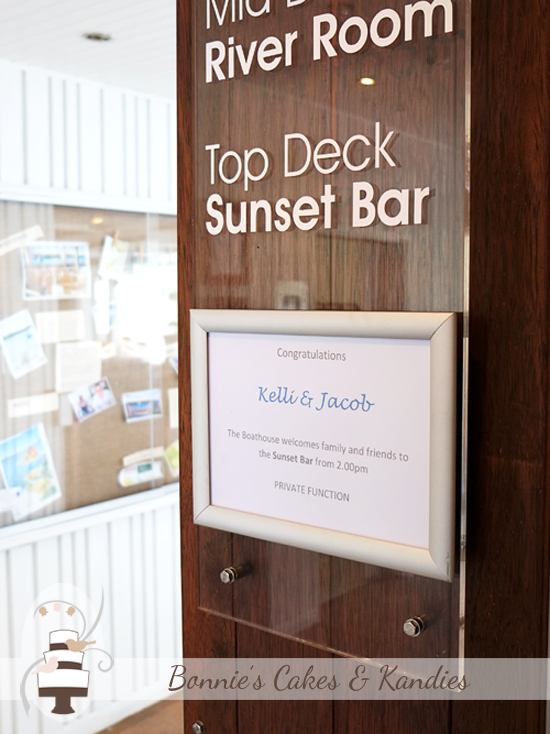 Congratulations Kelli & Jacob! 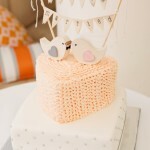 Thank you for choosing Bonnie’s Cakes & Kandies. May you enjoy many beautiful sunsets together. 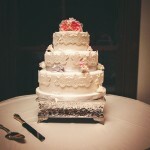 Here’s to another great year of wedding cakes and candy Easter eggs!